Thank you for volunteering for our event! Volunteers will receive a one day wrist band for a 4 hour shift and a three day wrist band for an 8 hour shift. Volunteers that work for 12 or more hours will receive a 3 day wrist band and, at the completion of their final shift, will receive a t-shirt. Must be 16 or over and must attend a volunteer orientation on May 15th from 12-1 pm or 6-8 pm. During orientation, volunteers will turn in or sign a risk waiver. If a volunteer is 16 or 17 years old, a parent must sign the risk waiver form. Volunteers will be emailed a confirmation of their schedule prior to orientation. 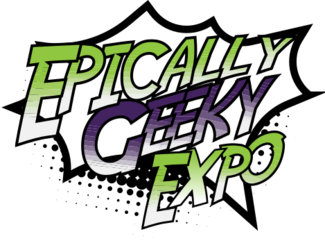 If you need to make changes to the schedule or if you have any questions about volunteering for Epically Geeky Expo, please call Mariceli Vargas at 254-526-1577. To guarantee a t-shirt, you must register no later than midnight on Sunday, April 28th. Please pick the volunteer session you will be attending and the shift(s) you are volunteering to work in. Will be volunteering where needed.